Children need all the encouragement and help today to create and maintain a healthy self-confidence. In a world increasingly becoming smaller and smaller, it's easy to get wrapped up among everyone else without realizing one's own self worth and importance. Every person has a worth whether it's just to themselves, their family, the community or more and realizing that is key to being a parent. I have found that encouraging self-confidence starts with me and with that, I have an obligation to ensure I foster that within each of my children. Applying self-confidence reinforcements can be easy with easy steps. One of the easiest ways to set a good example that will last a lifetime is to encourage healthy eating, proper exercising and rest. When a child is packing in good food, getting much needed exercise and rest, their bodies and mind will show it. We are a society based on looks and even if it's unfair, a fit child can feel more confident. Not only is it an appearance factor but with the proper nutrition and rest, an alert mind may open up the ability to learn more versus being tired and sluggish. A healthy smile is another key in promoting self-confidence. Again, we are a society focused on the whitest of white teeth and by incorporating good dental hygiene, we can help them achieve healthy white teeth. 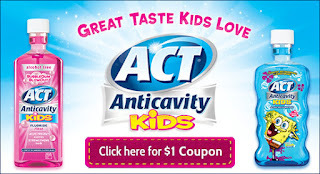 We are a Crest 3D and Act Anticavity mouthwash family. My girls know how important a white smile is let alone the advantages of taking care of teeth to avoid dental work. Cavities are not fun so why not try to be proactive versus having to endure the pain of repairing those teeth? I'm a firm believer in daily compliments whether it's telling my children they are beautiful, smart, funny, caring or giving. It is key in developing a self identity that is positive and nurturing. Positive reinforcement is one that I use based on growing up without it. I think children and adults still need to hear good things and without it, I truly feel it can hamper self-confidence. A sense of excellent is also worth encouraging. Being your best balanced with reasonable expectations also adds to self-confidence in my opinion. When a child is taught to give it their all and to finish what they start, it invokes pride which turns around to confidence. I know there is a fine line that you don't want to apply too much pressure for perfection rather you want to instill a 'your best' mentality. Knowledge is power and the more one knows, the more confident they can be among others. I'm a firm believer in reading and feel so much knowledge and confidence can be achieved by reading. There are many things parents and others can do to encourage and promote self-confidence among children. From the simplest of acts to more complex, we can foster a healthy environment that will continue to grow with our children from youth to adulthood while hopefully passing it down to the next generation. The acts of promoting self-confidence aren't only reserved for children but are things that most of us can use. A healthy body, mind and smile can go a long way and is essential to many facets of our lives but especially for self-confidence.